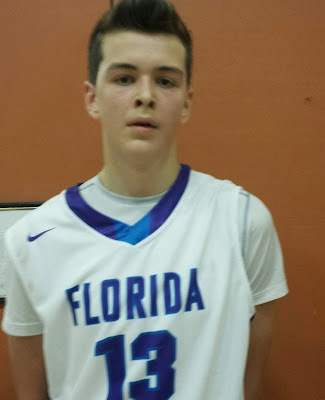 BASKETBALL SPOTLIGHT NEWS: Basketball Spotlight Feature: Balsa Koprivica Brings Size To Future Phenom Camp! Basketball Spotlight Feature: Balsa Koprivica Brings Size To Future Phenom Camp! The Basketball Spotlight Future Phenom Camp just got a lot bigger – try 6’10 bigger. Just announced is the attendance of nationally known Balsa Koprivica - at 6’10, 235lbs Balsa is far from your traditional back to the basket post player. Balsa runs the floor exceptionally well for his size and his large soft hands catch anything thrown in his direction. His ability to handle the rock on the perimeter combined with his soft shooting touch clearly indicates that he will be able to step out and easily play away from the basket as a face up four or even a wing at the next level. Already displaying a solid stroke with 3-point range he operates equally as well of the catch and off the bounce.